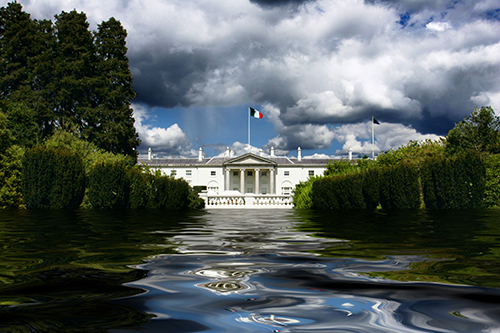 The floods throughout Ireland in late 2009 provided many a snapper ( pros hate being called this – try it sometime ) with some great subject matter for some amazing “snaps” . It brought to mind a plug-in for photoshop I came across a number of years ago from http://www.flamingpear.com, oddly enough called Flood (they have a number of other plug-ins of varying usefulness, I say varying but I mean you’ll probably use them once ). Like many a plug-in they provide a trial period of a month , thankfully in the case of Flood with no annoying watermarks overlaid on your image. Of course you could do this yourself in Photoshop but sometimes it is easier and quicker to use existing plug-ins, there are no awards for re-inventing the wheel. The plug-in allows you to do all of the adjustments in one easy to use dialog box. 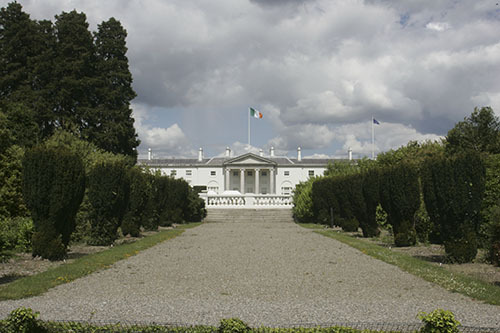 So here is my effort ( I did this about 3 years ago ) The image I chose is one of Áras an Uachtaráin , the official residence of our President……. 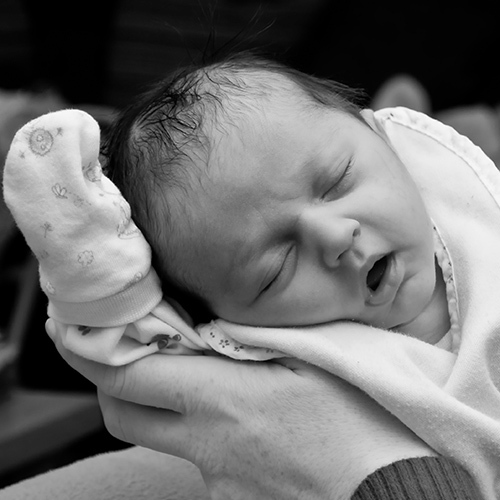 One of the reasons the posts have been lacking lately is that I have become a father for the first time, to a little baby girl. No retouching needed! !